The high-stakes battle between two casino titans over the Las Vegas of the East Coast. It's all quiet now on the eastern front of the American gaming industry - Atlantic City, New Jersey - but for five chaotic years, real estate developer Richard "Skip" Bronson was at the white-hot center of a titanic clash of money and power that transformed Atlantic City from a struggling day-tripper place with buses in and out to a born again destination drawing tourists from New York, Philadelphia, and other major cities along the eastern seaboard. 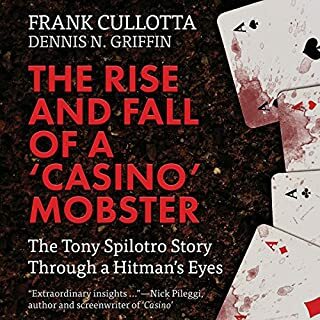 Las Vegas was the Mob's greatest venture and most spectacular success, and through 40 years of frenzy, murder, deceit, scams, and skimming, the FBI listened on phone taps and did virtually nothing to stop the fun. This is the truth about the Mob's control of the casinos in Vegas like you've never heard it before, from start to finish. Roll the Bones tells the story of gambling: where it came from, how it has changed, and where it is now. 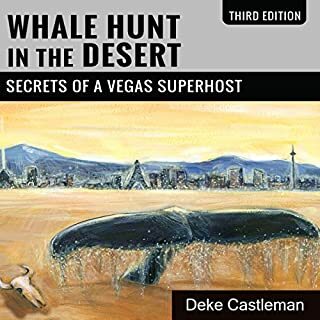 This is the new Casino Edition, which updates and expands the global history of gambling to include a greater focus on casinos, from their development in European spas to their growth in Reno and Las Vegas. New material chronicles in greater depth the development of casino resorts on the Las Vegas Strip and their spread throughout the United States. A new chapter better places Atlantic City's casinos into their correct context, and new material accounts for the rise of casinos in Asia and online gaming. From the first modern casino in Venice (1638), casinos have grown incredibly. During the 18th and 19th centuries, a series of European spa towns, culminating in Monte Carlo, hosted casinos. 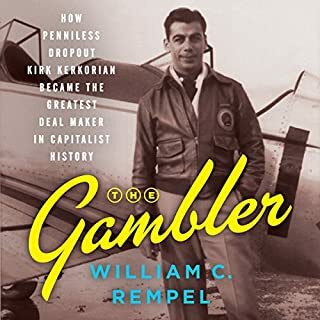 In the United States during those same years, gambling developed both in illegal urban gambling halls and in the wide-open saloons of the Western frontier. Those two strands of American gambling came together in Nevada's legal casinos, whose current regime dates from 1931. Developing with a healthy assist from elements affiliated with organized crime, these casinos eventually outgrew their rough-hewn routes, becoming sun-drenched pleasure palaces along the Las Vegas Strip. With Nevada casinos proving successful, other states, beginning with New Jersey in 1976, rolled the dice. From there, casinos have come to America's tribal lands, rivers, and urban centers. In the last decade, gambling has moved online, while Asia - with multibillion-dollar projects in Macau and Singapore - has become a new casino frontier. Roll the Bones will give you a better appreciation for how long casinos and gambling have been with us - and what they mean to us today. This audio edition includes a brand-new exclusive author interview with background on the book and developments since its print publication. 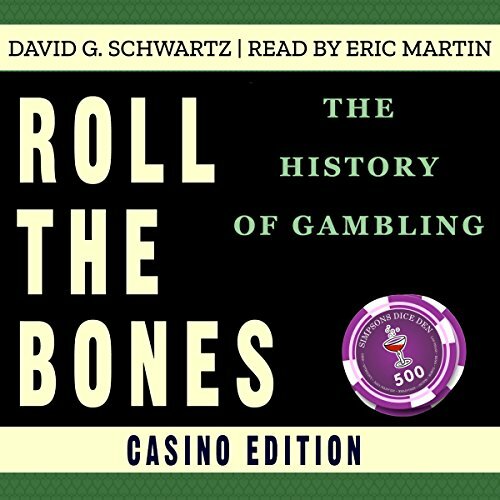 Would you consider the audio edition of Roll The Bones: The History of Gambling (Casino Edition) to be better than the print version? Have only listened to the Audio edition. He did a good job with the material he had to work with. At the end of the audiobook “Roll The Bones” there is an update by the author on what has happened since the book was written. 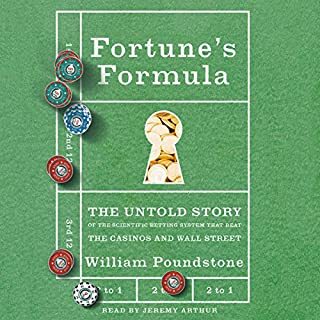 In it he mentions that this is a condensed version of a previous edition of “Roll The Bones” focusing mainly on casino gaming in all its forms. That being said, it is hard to imagine a seventeen hour condensed version of any book but that is what you have here. 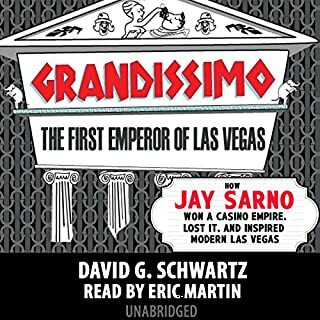 Seventeen hours makes for a very long audio book but if what you’re looking for is a comprehensive history of casino gaming then this is the book for you. Eric Martin does a good job of winding through David G. Schwartz’s written journey of casino gaming from the early, ancient times until the early twenty-first century and from the Middle East through Europe to the United States and now beyond to Asia. I can’t imagine anything has been left out. If you’re got the time “Roll The Bones” makes for interesting listening. I was voluntarily provided this review copy audiobook at no charge by the publisher. I really enjoyed this audiobook. I am not an avid gambler, but when I'm staying near a casino I certainly enjoy stopping by and playing some casual games (typically roulette). To my delight, there was a lot of interesting history on the evolution and importance of roulette. I also loved some of the bigger themes of casinos/gambling history that I had no clue about before (like that casinos originated in spas/hot springs for the sick and injured). The book really has a ton of history, and I feel like the author left no stone unturned in his research. The beginning, where the history was all in foreign countries, was a bit harder to follow just because there were so many foreign names. But once it got to the US, I was hooked and couldn't stop listening. That segment was my favorite part. It did feel like the section between the US gambling and the modern age of internet gambling, where many other current countries were referenced, was sort of haphazardly added in, but it was interesting nonetheless. The narrator was great, too. His voice was perfect, he kept a good pace, and he had easy to follow rythm. One minor criticism I did have was with the layout. The book had many chapters, each with many subsections. 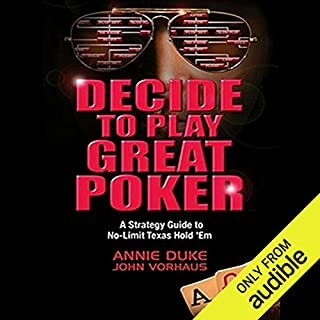 In Audible, there is no way to skip to the beginning of the subsections. I made sure to place plenty of bookmarks, but being able to navigate directly to subsections would be nice.